CC+S partnered with the California Strategic Growth Council and the California Department of Education to host an invited roundtable, bringing together local and state leaders together to discuss promising strategies for linking public schools to the creation of healthy, sustainable communities. Topics included, integrating schools into regional Sustainable Communities Strategies and local planning activities, school siting and design, and green construction. Participants worked together to identify policy opportunities for improving educational experiences and realizing sustainable communities. 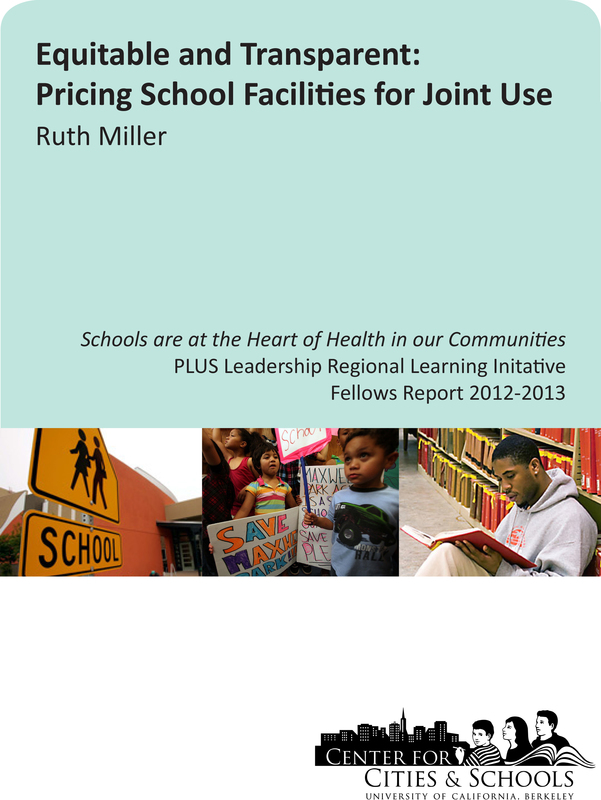 Funded by the Council of Educational Facility Planners International, this study categorizes the types of joint use used by school districts utilized in California. 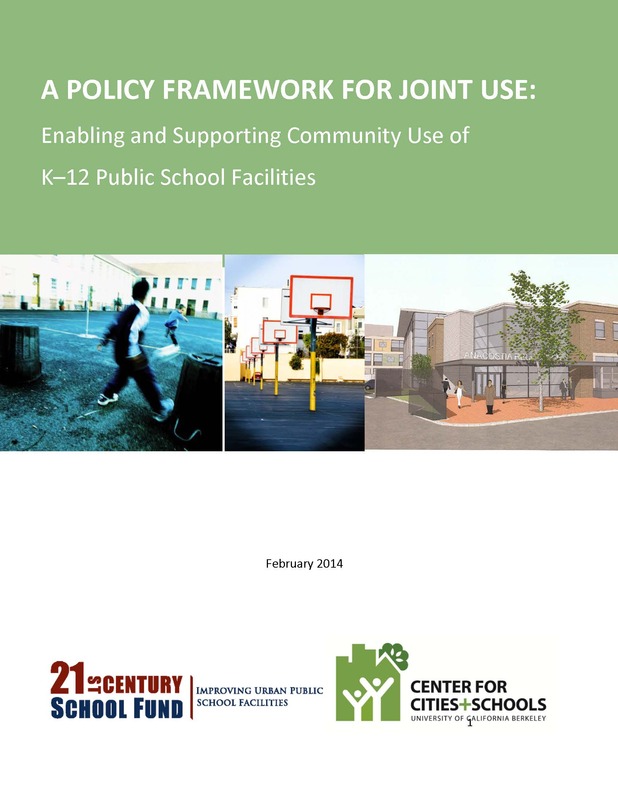 We discern the challenges and lessons in joint use partnerships and make policy, procedural, and research recommendations to better support the joint use of public schools throughout the country. Policy roundtable hosted by the California Department of Education and facilitated by the Center for Cities + Schools. 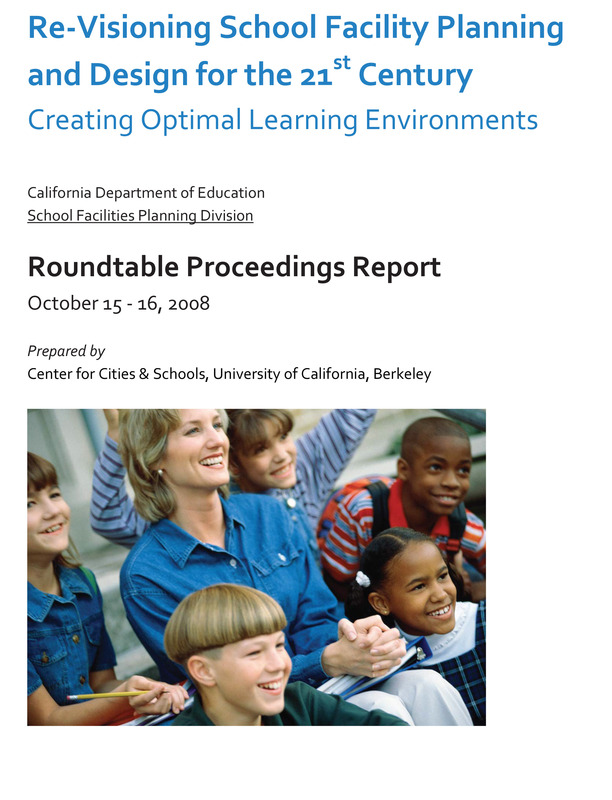 The roundtable explored the historical, contemporary, and visionary future contexts of school facilities in California to advise the state on policy reforms to promote learning environments that support 21st century education programs. This report is a summary and analysis of the roundtable proceedings. It also serves as a guide for further reevaluation of school facilities planning and design policy in the state of California. Funding for this project provided by the California Department of Education. Transit-oriented development (TOD) remains a popular strategy to achieve environmentally sustainable infill development and auto use reduction. Typically, TOD in the United States offers retail amenities and housing catering to single individuals, childless couples, and empty nesters. The new model in this paper requires an examination of the ways that TOD might attract households with children concerned with access to high-quality schools, even when schools are outside the domain of traditional transportation and land use public agencies. We review the TOD and transportation literature and its attention to households with children and issues of public schools for students from kindergarten to Grade 12. 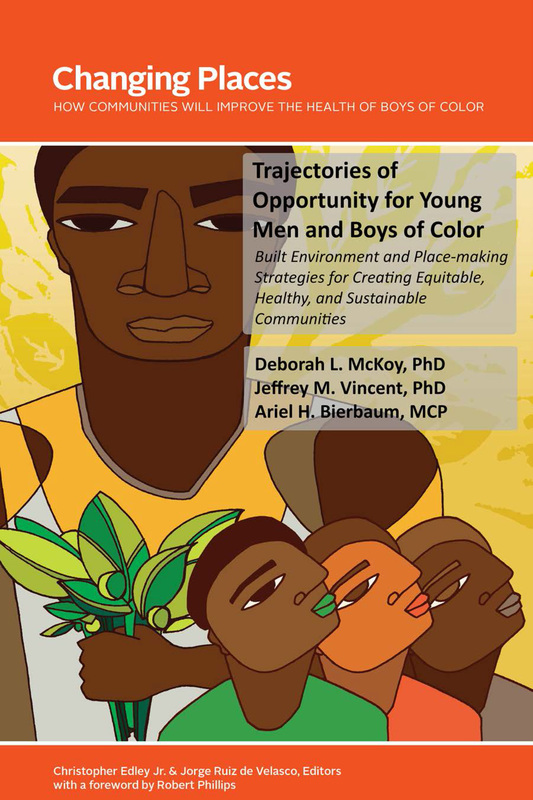 This paper examines the connections between Transit-Oriented Development (TOD) and families, schools, and expanding educational opportunities for all children. This paper is the first of its kind; therefore, we take an exploratory approach to understanding and framing these interconnections. 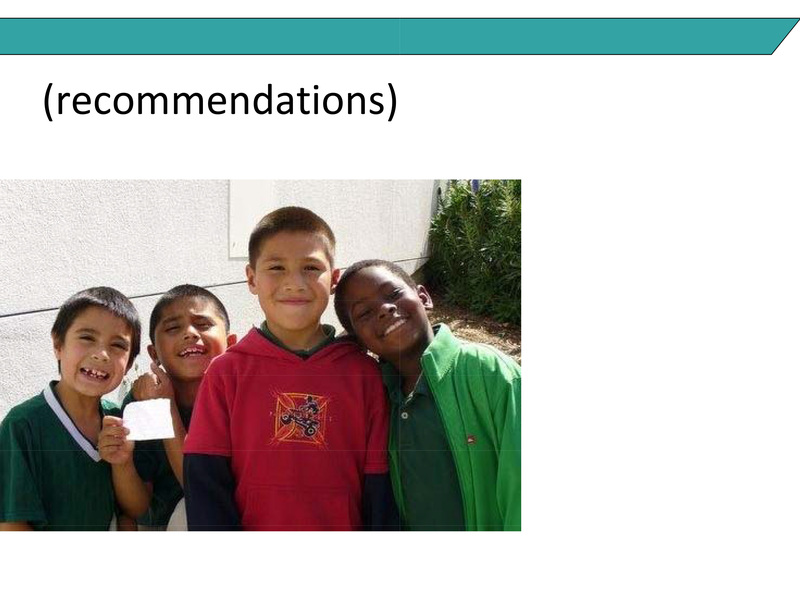 We provide a rationale for the linkages at this nexus, highlight the Ten Core Connections between TOD and public education, highlight five case studies in the Bay Area, and make recommendations for enhancing city-school collaboration in TOD. Joint use of public school facilities is a complex but manageable approach to efficiently enhancing the services and programs available to students and supporting the community use of public schools. 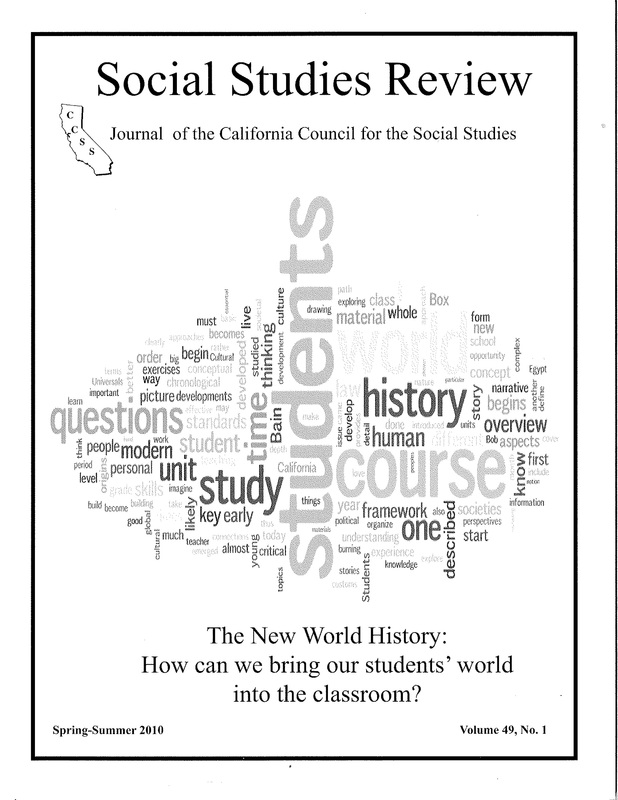 Building upon on our 2010 paper titled Joint Use of Public Schools: A Framework for a New Social Contract, this paper identifies the policy framework needed to support sustainable joint use of public schools. 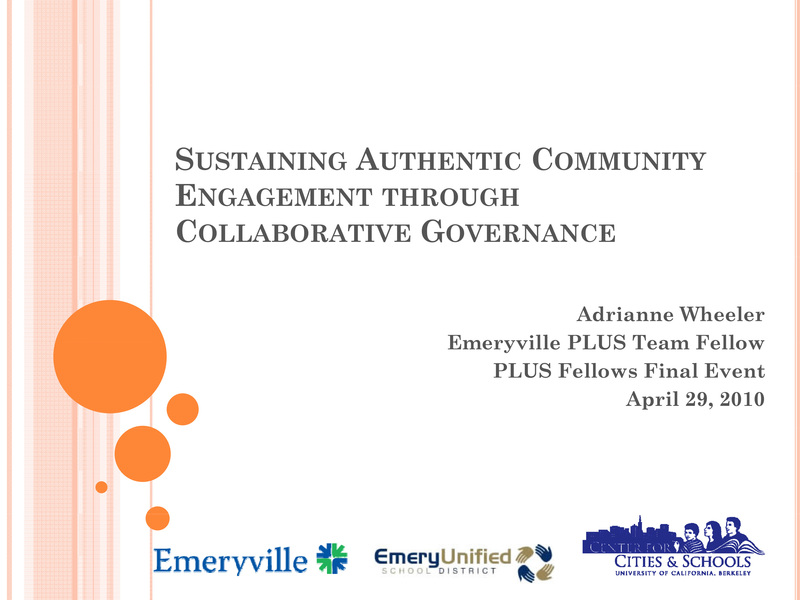 Our goal with this paper is to provide local and state leaders with the policy framework needed to enable and support community use. The policy framework addresses the challenges to harnessing the opportunities and benefits of the community use of K–12 public schools. We discuss the policy elements that have been and can be used to incorporate joint use into normal planning and operations of school districts and local and regional public agencies and to do so in a sustainable and fiscally-responsible manner. The framework addresses policy at the state and local levels and acknowledges that joint use requires public and private agencies to work together in new ways. This paper also describes the need for public transparency and understanding of the full cost of ownership of public school facilities as a critical part of policy. 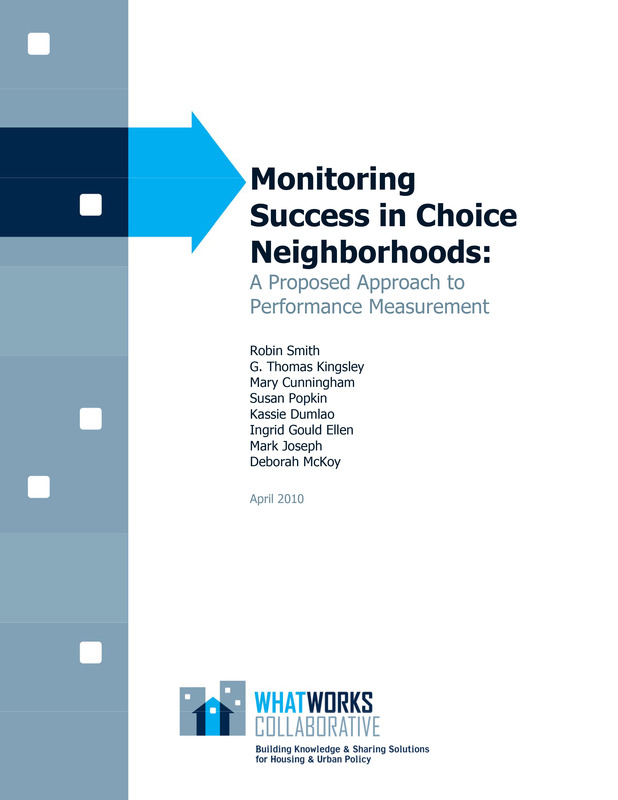 This paper considers how to effectively evaluate outcomes and measure success in comprehensive community transformation efforts, such as the U.S. Department of Housing and Urban Development (HUD)'s proposed Choice Neighborhoods Initiative. It is a product of the Urban Institute and was supported by the What Works Collaborative. 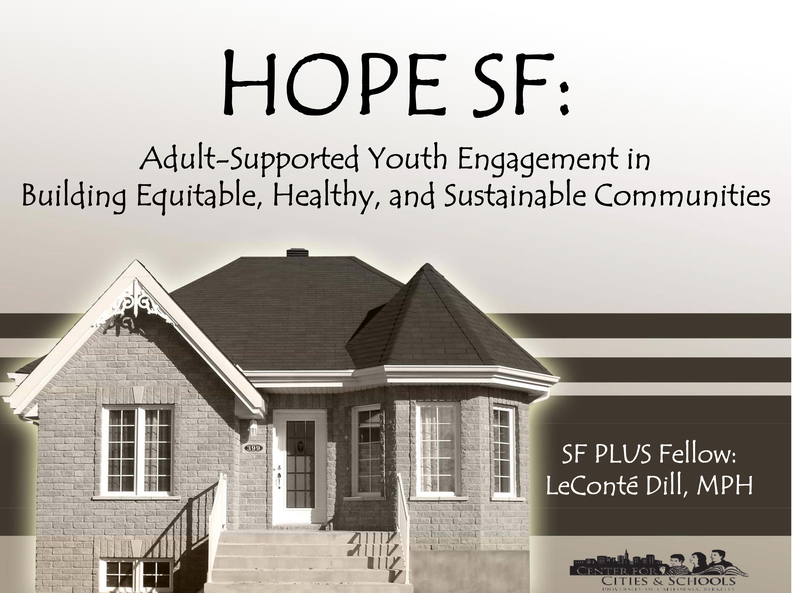 The HOPE SF Housing & Education strategic planning study investigates how to meaningfully integrate public education into the revitalization of the Bayview Hunters Point neighborhood. The study provides an overall understanding of the current educational landscape at Hunters View; highlights opportunities to maximize resources and outcomes for all residents and families; and assists in creating an action plan for HVCP and their city and school district partners. In this article, we measure the impacts of three public school construction regulations on the costs of construction in a model that incorporates a more comprehensive set of project and locality characteristics than previous research. SFUSD, like many districts, allows use of its classromms, gymnasiums, and other indoor facilities to external groups. But similar to other districts, SFUSD has struggled to apply use fees consistently, fairly and equitably. Building from the recommendations of the 2010 report, San Francisco's Public School Facilities as Public Assets: A Shared Understanding and Policy Recommendations for the Community Use of Schools, and the working group, this report proposed an updated, revised pricing methodology and fee schedule in accordance with California's Civic Center to increase transparency, consistency, and align to SFUSD's education goals. To address the fragmentation of Oakland's public schools, this report recommends developing a shared vision at the school and district levels and incorporating service partners into the life and culture of school sites. 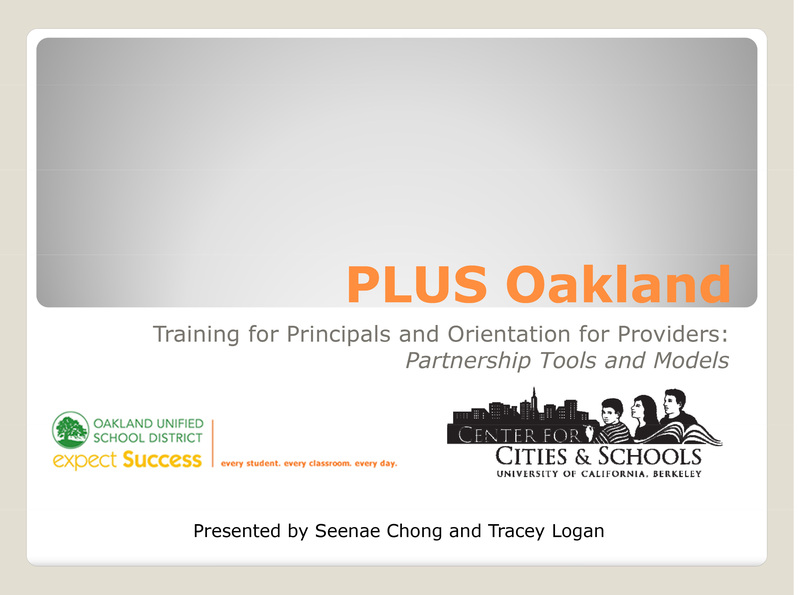 This report explores methods of creating partnerships between schools, non-school supports and community organizers by looking at OUSD's Complementary Learning Department.